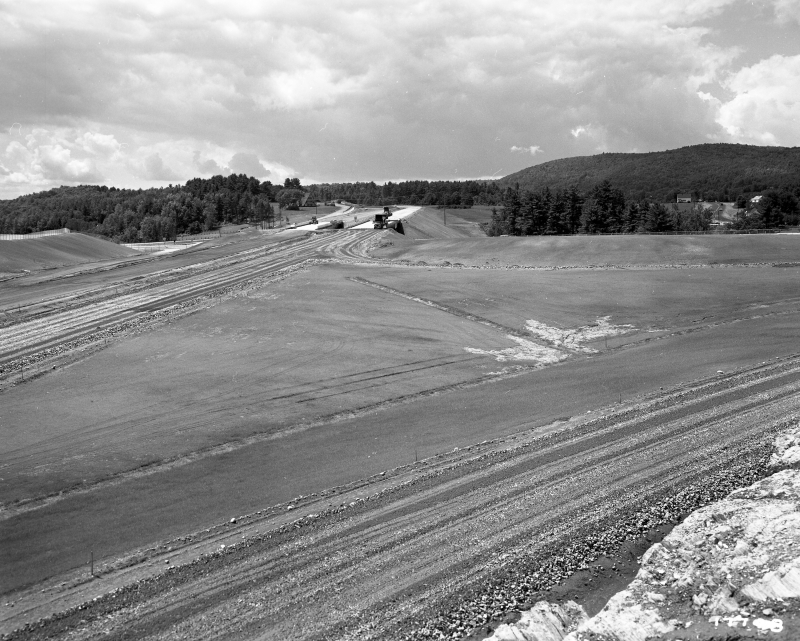 This image is taken of a landscape between the areas of Norwich and Hartford, Vermont. Two gravel roads can be seen to the left and to the right in the image, while construction vehicles are noticeable near the center of the photo in the distance. Areas of forest are also visible in the distance. John Adams writes on 2013-09-14: This is Exit 13 off I-91 looking south. Another one in this series taken a year or so later shows this interchange after it was completed.